The battery butler (model 100) battery storage float charger is designed for the maintenance of wet or gel-cell batteries that are stored or only used Periodically. 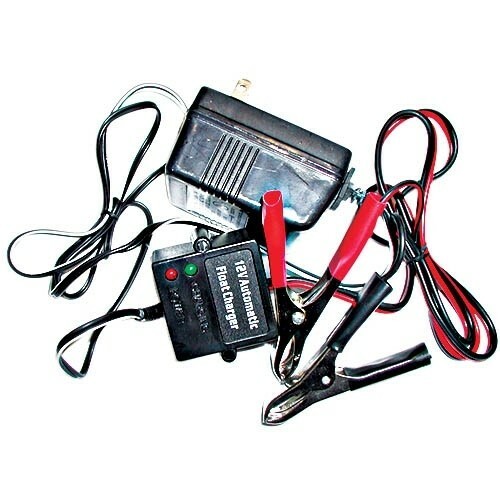 This charge will prevent the normal self-discharge of your battery while maintaining and extending the life of rechargeable 12 volt batteries rated from 5 to 125 amp-hours, by providing a constant (minimum current) regulated output. This charger is designed for long term use. You can safely leave it connected to your battery. Keeps your battery fully charge without overcharging - designed for long term vehicle storage - provides constant regulated minimum current to maintain battery - 1 year limited warranty.